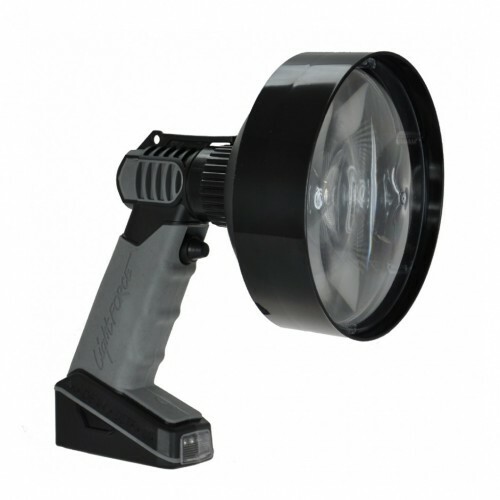 A revolutionary new handheld search light from Lightforce®, the 170 Enforcer® halogen is built tough to suit all environments while offering the power of high quality performance lighting to all users. 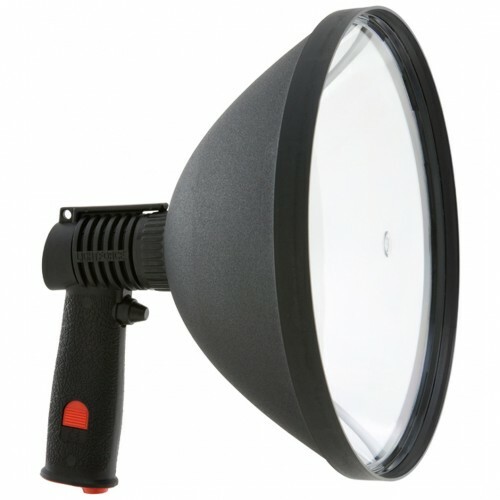 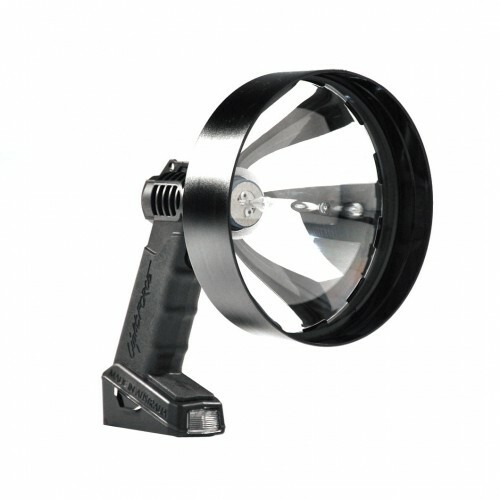 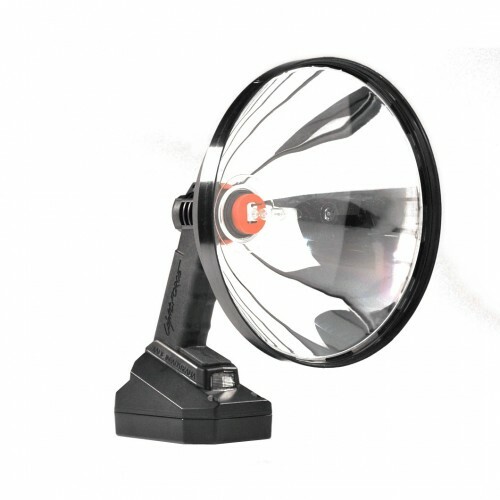 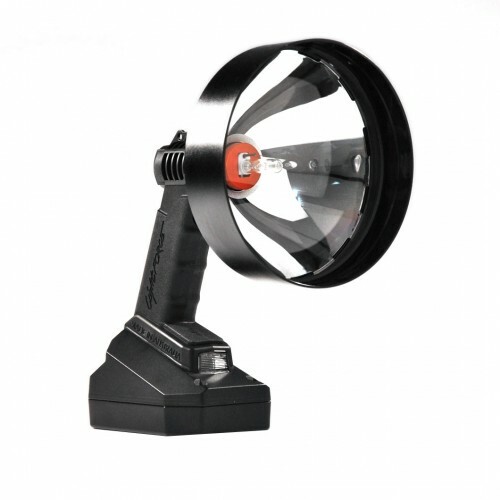 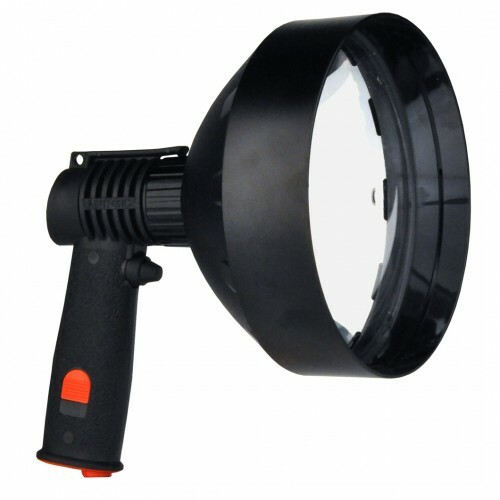 Featuring a soft ergonomic grip, light weight waterproof construction and a powerful 100w halogen spot beam with separately switched low energy LED task light, Enforcer® halogen encompasses the best in technology and ease of use. 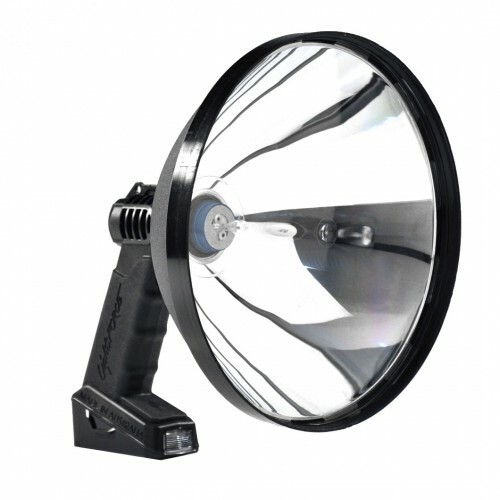 The mid-size Lightforce® 170 Enforcer® is the most popular sized reflector in the Enforcer® range and is the perfect portable light for a range of applications, from emergency search and rescue, right through to recreational sporting uses. 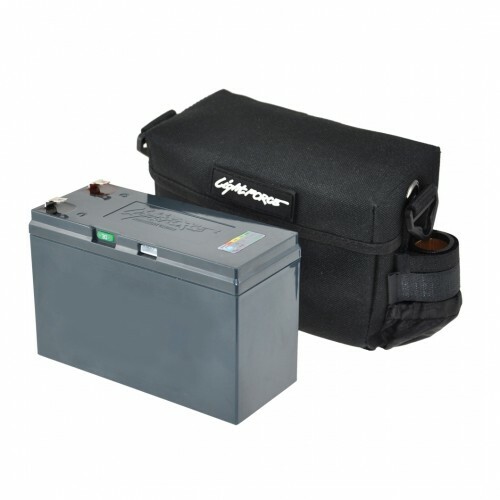 A standout feature of the Enforcer® is the simple ability for users to change between power sources, quicker than ever before. 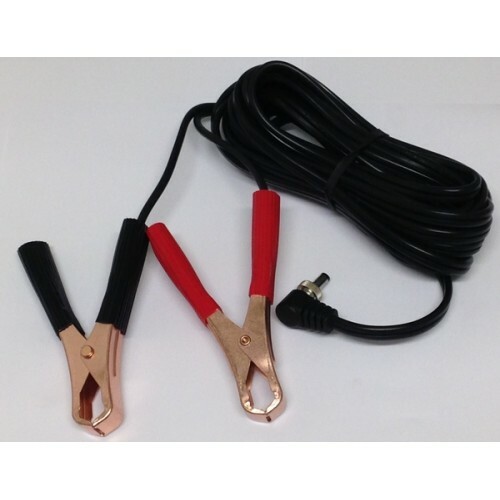 Clip a completely cordless direct mount 4.6A/H NiMH 12V battery pack on the halogen models or choose from a coil cord with merit plug or figure 8 flex with alligator clips. 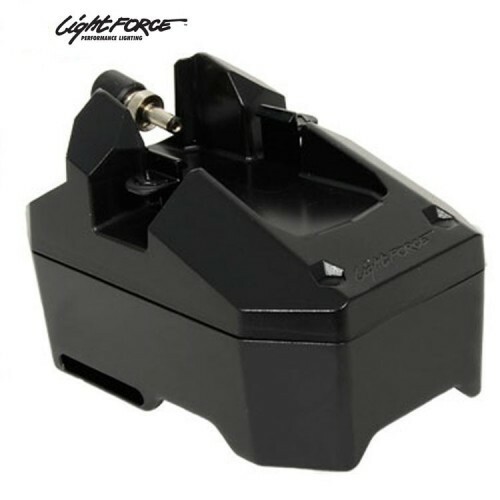 Connect up either a Lightforce® SLA battery or a new generation LiFePO4 and you're ready to go.